Saylor Park Industrial Museum is an open-air museum located in Coplay, Pennsylvania, right outside of Allentown. The site is on the U.S. National Register of Historic Places to see. If you're not familiar with the area, you'll want to plug N. 2nd Street in Coplay into your GPS unit and the driving directions should pop right up. Coplay Cement Company Kilns were built in 1892-1893 and were used to make Portland Cement. 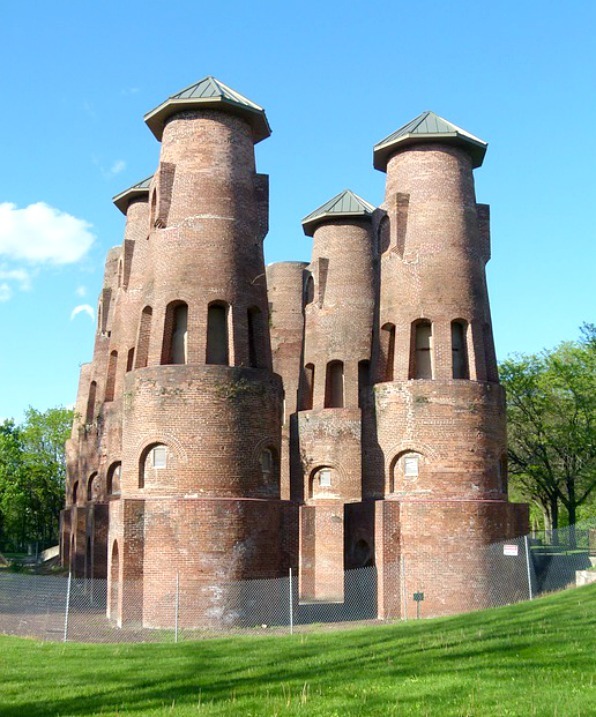 In 1904 the company shut down all 9 kilns in favor of newer technology that made cement quicker and more efficiently. 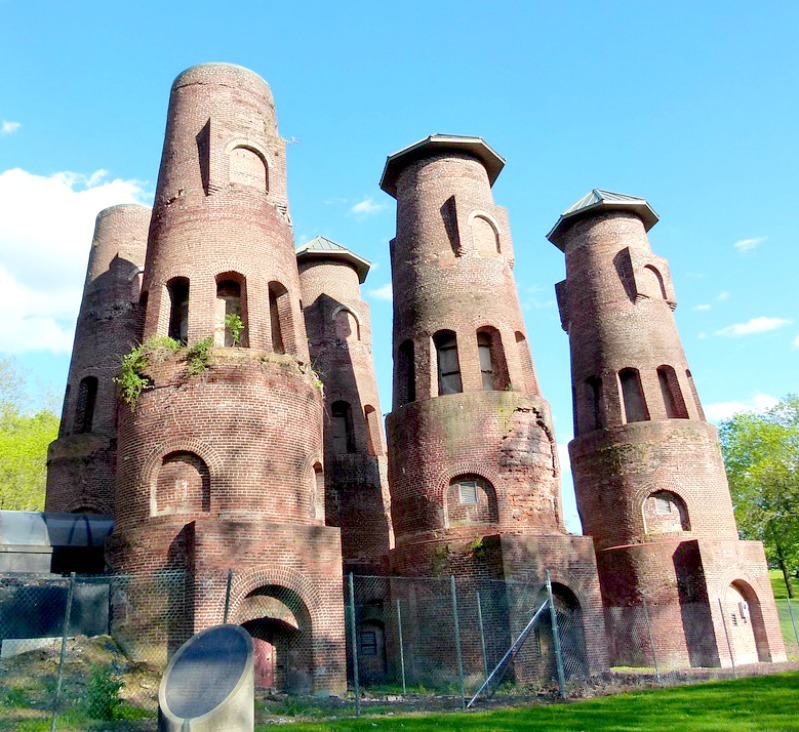 The company donated the kilns and the surrounding land to Lehigh County in 1975, so that the site could be preserved and turned into an open-air museum. Cement was one of the main industrial and commercial building material at the time. It was often used to build subways, bridges, skyscrapers, sidewalks, roads, boat docks, canals, foundations, buildings, etc. The company was a big leader in the cement industry and Lehigh County had the perfect natural ingredients when it came to making cement: rocks containing lime, silica, and alumina. The Saylor Park Industrial Museum in Coplay, Pennsylvania is open year-round to visitors and is a historical site. As you walk around and through the museum, you'll learn about the company's history and the big part that it played in America's industrial history. We enjoyed visiting the museum and really learned a lot.